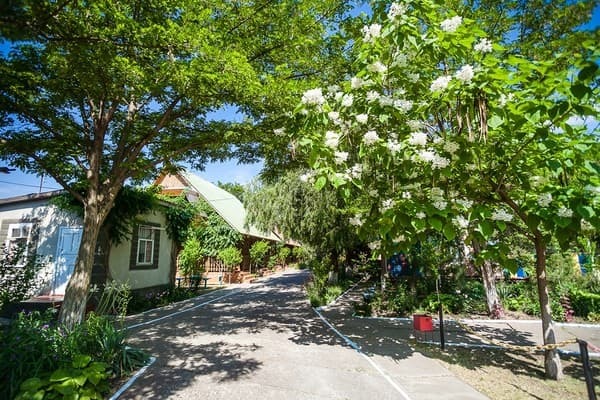 Recreation center "Gloria" is located in the Limansky district of Zatoka at a distance of 1 km from the beach. The number of rooms consists of 6 different categories. 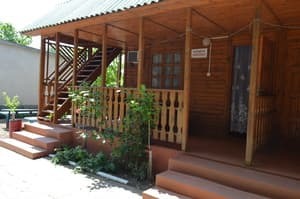 Rooms of the category "economy" are located in wooden cottages, each room has an individual exit, a common veranda for 4 rooms and a common bathroom. 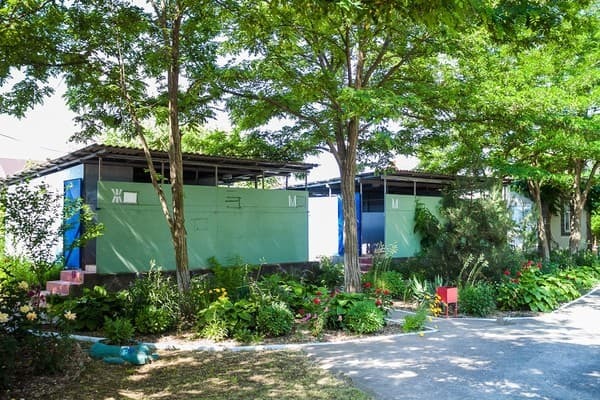 The rooms of the category "standard" are located in a three-storeyed stone building, the common bathroom is located on the floor. There are separate wooden cottages. 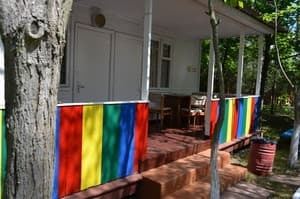 In the protected area of ​​the recreation center there are places for car parking (15 UAH / day) and a children's playground. 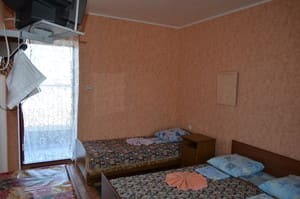 Description of the room: The room has two single beds, bedside table. On request, a refrigerator and a fan can be delivered for an additional fee. 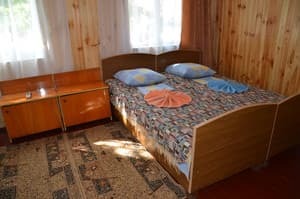 Description of the room: Standard room: three single beds, bedside table. A refrigerator and a fan are available for an extra charge. 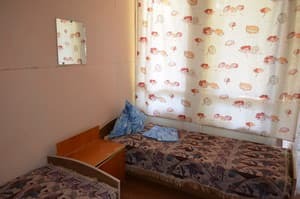 Description of the room: The room consists of two single beds, bedside tables, hooks for clothes. 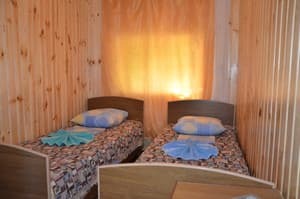 Description of the room: Standard room: two single beds, TV, refrigerator, air conditioning. The location is on the third floor of a stone building. 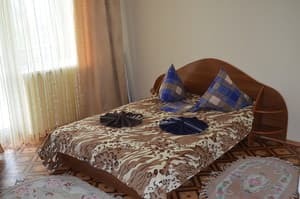 Description of the room: Triple room with 3 single beds. 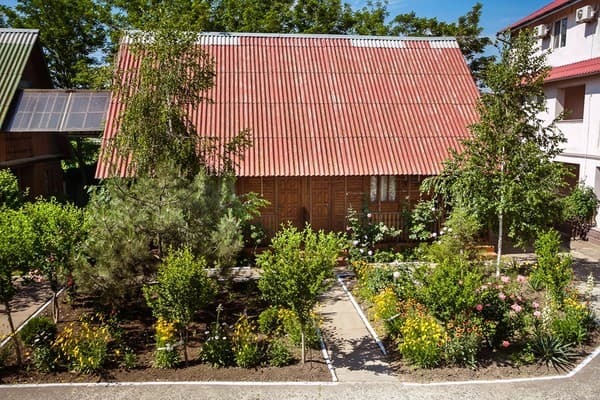 Description of the room: Double room in a wooden cottage. In the room of the bed (double or twin beds), TV, refrigerator, air conditioning. In the room there is a bathroom: a shower, a toilet, a washstand. Cold and hot water. 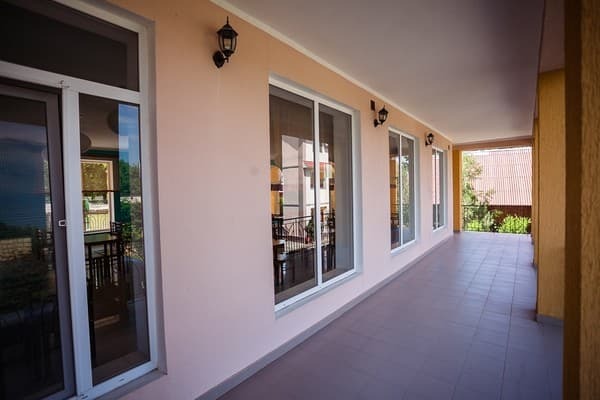 Each room has its own veranda at the entrance. 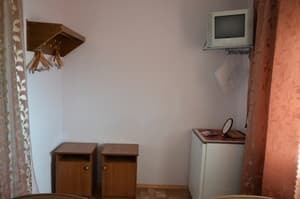 Description of the room: Standard room: one double bed, TV, refrigerator, air conditioning. Bathroom in the room: shower, toilet, wash-hand basin. Dryer for things. Rooms are located on the second and third floors of the stone building. Description of the room: The rooms of the category are located on the first and second floors of the stone building. Each room has a balcony. A bathroom is on the floor. Description of the room: Number in a wooden cottage. 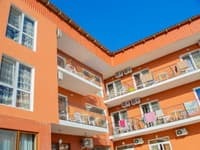 Standard room: beds (double + single or 3 single), TV, refrigerator, air conditioning. In the room there is a bathroom: a shower, a toilet, a washstand. 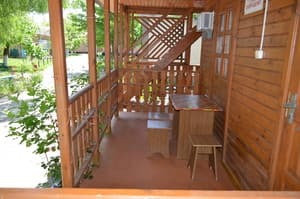 Each room has a veranda at the entrance. Description of the room: Separately standing wooden house. With its veranda. 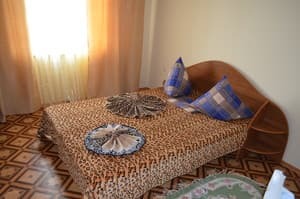 Standard room: beds (double sofa in the main room, two single beds in the other rooms), TV, refrigerator, air conditioning. A bathroom in the room (shower, toilet, wash-hand basin). 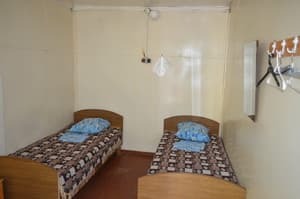 Description of the room: Standard room: Beds (double bed in the first room, two single beds in the second room, if possible, you can add one or two single beds for an extra charge), TV, refrigerator, air conditioning. Balcony. The rooms are located on the second and third floor of the stone building. 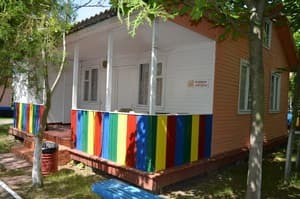 Children under 5 years (if in the room two adults and a child) are accommodated without providing a separate place - for 20 UAH / day. For 2 children up to 5 years old, 1 bed is paid. Children under 10 years (one adult and one child) - 5% of the cost of one place. Children under 10 years (if in room two adults and a child) are accommodated in an additional place with a 20% discount from one place. Guests are given the opportunity to order a complex meal in the dining room, or on the menu in the cafe. The approximate cost of a 3-time complex meal is 190 UAH / day. There is no kitchen for self cooking. 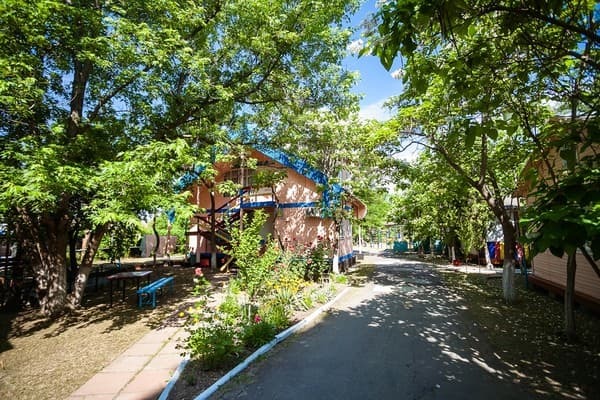 The recreation center "Gloria" is located in the Limansky district of Zatoka (landmark railway station Limanskaya) 1 km from the sandy beach. From Odessa: a fixed-route taxi №560 (Odessa-Belgorod-Dnestrovsky) (inform the driver that you need to go 150 meters to the station "Limanskaya" - an electric train of suburban value Odessa-Belgorod-Dnestrovsky - to the station "Limanskaya". the main road in the opposite direction.